The microdermabrasion procedure is a safe alternative to chemical exfoliating treatments, working miracles on stretch marks. Mechanical peeling with diamond heads allows for controlled scrubbing of the horny layer of the skin. It removes imperfections, stimulates the production of collagen, and rejuvenates the skin, leaving a healthy appearance and bright glow. This treatment can only be performed in the winter months. Choose one of our Booster Courses and an added boost in cellulite reduction, stretch mark reduction, and inch loss. 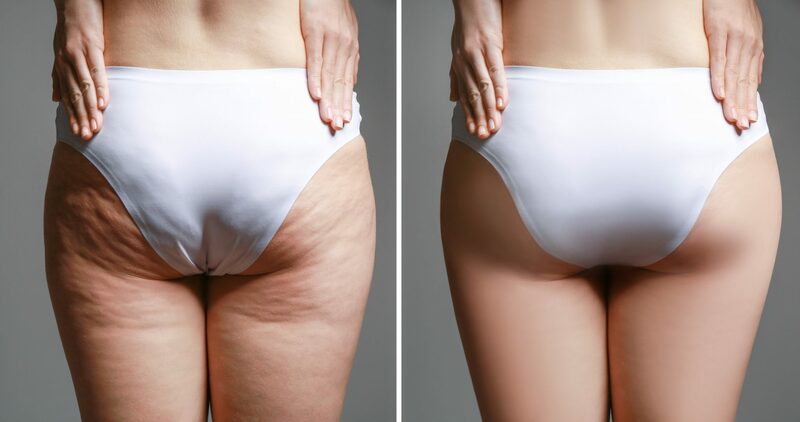 These treatments use the latest technology and have been designed to drastically reduce cellulite and break down stubborn fatty deposits without the pain of surgery, leaving the skin looking dimple free, smooth, and toned. It is a quick, safe, effective form of exfoliation for all skin types and colours, with no downtime and no pain or discomfort. It has been available in Europe since the late 1980’s. It uses a diamond-tipped applicator, with slight suction to remove dead or damaged skin cells. Skin will appear softer, smoother, brighter, clearer, fresher and younger looking. Microdermabrasion is NOT the same as dermabrasion. Dermabrasion is a much more aggressive procedure, whereas microdermabrasion is much gentler. Diamond microdermabrasion systems operate without the need for crystals. The exfoliation process occurs when a diamond tipped head makes contact with the skin. Everyone; men and women of any skin type or colour. Skin that is aging congested, flaky, dry, devitalised, thickened, blemished, stretched, dull, and sun damaged can be rejuvenated and refreshed. Blotchiness, uneven skin tones and texture will also be improved, even normal skin can be made to look fresher with a warm glow. This treatment is meant to be progressive not aggressive. Generally, results are more noticeable after the third treatment. After the first session the skin will appear fresher, cleaner, smoother and softer for some clients. Usually treatments are performed every 4 weeks, but can be done more frequently. 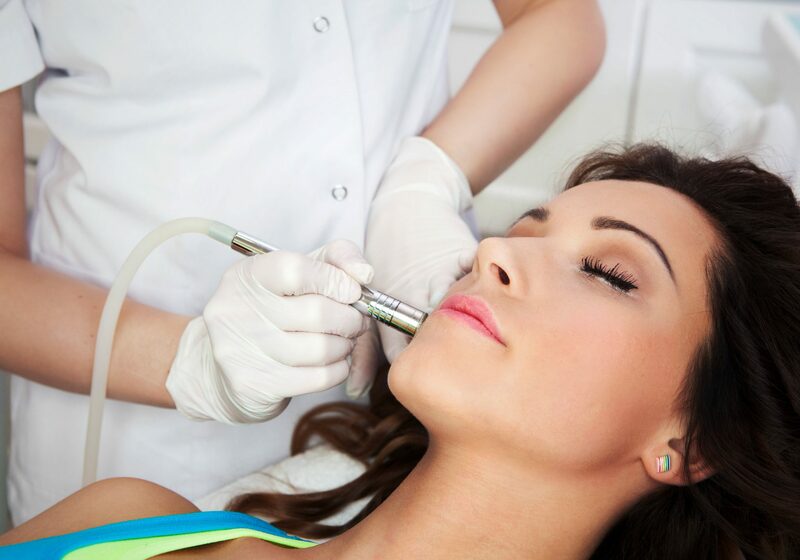 A typical course of treatment is a series of six Microdermabrasion sessions. Maintenance treatments are suggested once every one to one and a half months. You may experience a slight tingling, and afterward the skin may feel tighter, as if it has been overexposed to the wind or sun. The skin may appear slightly flushed, but this generally fades in 12-24 hours. If you are too aggressive with the treatment cycle, you may experience scratching and redness. The most common areas that we treat are the face and neck. In addition we can treat the chest, shoulders, back, hands, knees and elbows. Any area can be treated. Microdermabrasion is a gentle exfoliation that is performed with a diamond-encrusted applicator tip. The tip passes over the skins surface, and creates a gentle vacuum. The diamond tip gently exfoliates approximately 20-25 microns of dead skin cells on the outermost layer. Once removed, it reveals one’s own fresher, younger looking skin beneath. One Microdermabrasion is equal to three 30% glycolic peels or one 70% peel.